...with your boss, that is! According to Skin Inc., laser, light, and energy-based treatments remain the top cosmetic treatment category for the 4th year in a row. The American Society for Dermatologic Surgery (ASDS) reported performing more than 2.7 million procedures using laser, light, or energy-based devices in 2014. Why this boom in laser, light, and energy-based device usage? According to ASDS President George J. Hruza, MD, MBA, “Lasers and other energy sources have become very good for many indications with minimal downtime and minimal pain associated with the procedures. 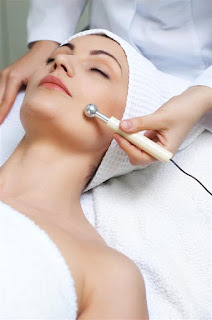 Hair removal, tattoo removal, sun-damage repair, wrinkle and scar improvement, brown spot and broken blood vessel fading, fat reductions and skin tightening are all indications that can be effectively treated with laser and energy sources." What does this mean for your spa? We are seeing a huge focus on treatments that have immediate, visible results, with little pain, and minimal to no recovery time. Offering effective treatments or even add-ons to your treatments, such as LED light therapy, Ultrasonic, and Thermal Sculpting will help you bank on this growing trend....and make your boss very happy with the resulting increased profits! Check out some of our most popular Light and/or Energy Based Devices!